Next, put your phone on silent. We are trying to limit our distractions! Now with today’s day and age, you may be communicating with your coworkers or boss through your phone so not looking at it may not be an option. But, be present where you are and engage in the topic at hand. What does it look like to be engaged? The question we’re all trying to answer. Once you arrive at the meeting, take note of the seats available and choose one that will be the best for you specifically. If you know that you will get distracted by looking out of nearby door/window, try to stay away from that area. Personally, I have a hard time staying focused if I can’t see the person talking so I try to sit near the front of the room. Odd, but true. On the other hand, I know a lot of people who tend to feel anxious if they are sitting in the front of the room. If this sounds like you, don’t do it! Being anxious will be a distraction in itself! The point of this, you know yourself better than I do. Sit in a place that is best for you, somewhere where you will be the least distracted and most likely to pay attention. During the meeting, try to take notes on information that you learned or need to follow-up on. Not only will this help you pay attention, but it will help you remember and reference the content from the meeting later. To make it more fun, take a different colored pen or highlighter to keep your thoughts organized as you jot them down on the paper. Finally, enjoy the time with your coworkers! Take this opportunity to learn from them. You never know what valuable information they may share. 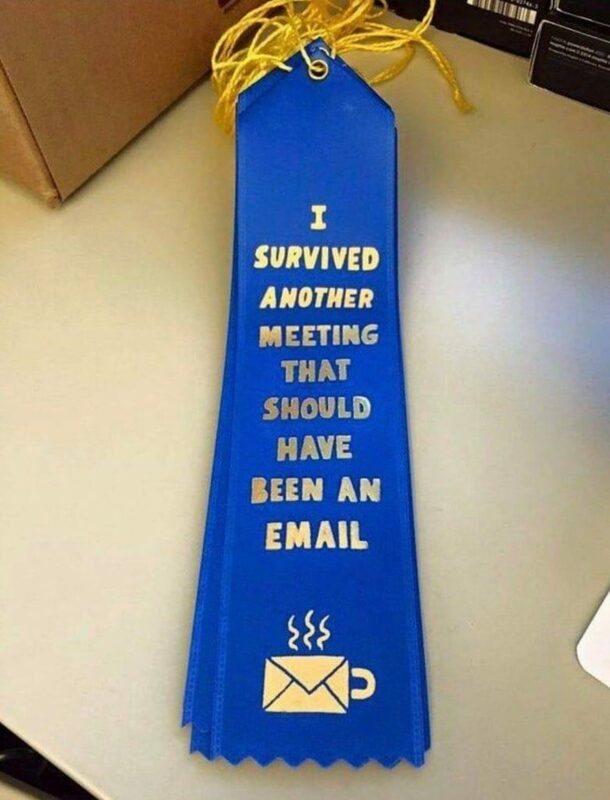 Frustrated with your office’s meetings? Check out this AgCareers.com newsletter article.